We Are Back Again! 約1年ぶりの開催となるRESOUNDは、ドラムンベース全開で夏を迎えたいというヘッズのアツい欲望を掻きむしるべく、オーストラリアの暴れん坊RREGULAを迎えての炸裂モード！！迎え撃つ高知勢も百戦錬磨のRESOUNDクルーを中心に直球勝負のライブアクトを 加えての厳戒態勢だッ。 People Are You Ready? Let The Bass Boom!! 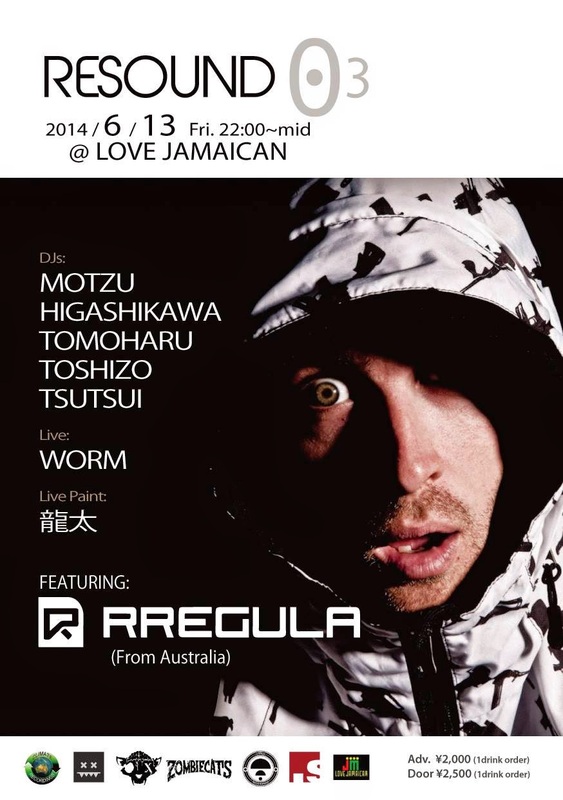 Rregula is a Drum and Bass DJ and producer based out of Perth, Western Australia. In 2003, he worked with fellow producer Phetsta under the shared alias "Bad Robot." Together they had some successful releases, such as 2006's "Forever" on Black Sun Empire Recordings. Soon after, Rregula turned to solo production and has released many singles from labels such as Shadybrain, Climate Records, Icarus and Citrus. In 2011, he released a collaborative album with Dementia called "Echoes From The Future" from Trust In Music out of Germany. And in 2014, his long-awaited new album has been released from Citrus. 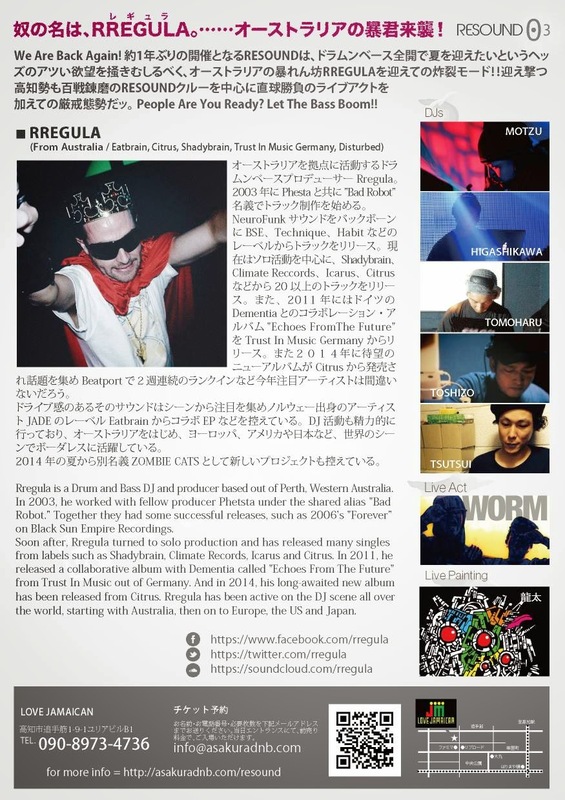 Rregula has been active on the DJ scene all over the world, starting with Australia, then on to Europe, the US and Japan.